James Monroe Memorial Foundation President Bill Thomas was the featured speaker at the Ocean View Lodge No. 335 (AF&AM) April 2018 meeting, where he spoke on the James Monroe Birthplace Park and Museum. 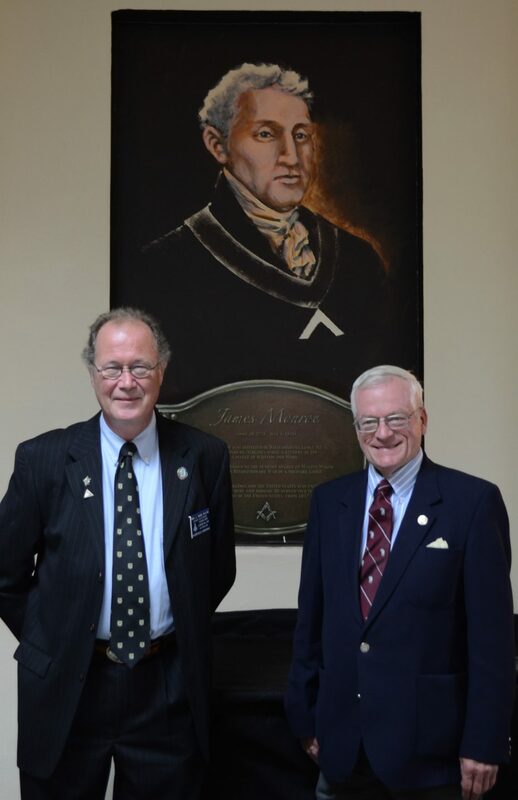 Shown with Mark Walsh (left), James Monroe Memorial Foundation National Advisory Board, is JMMF President William Thomas (right).